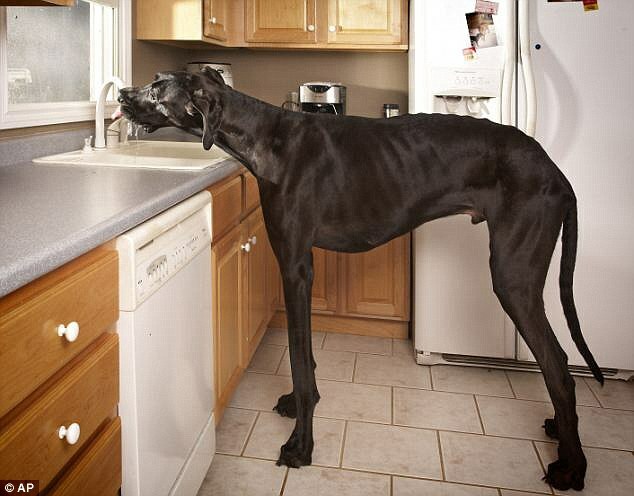 He broke the previous record held by another Great Dane named Giant George, by one inch. Denise Doorlag says Zeus was so huge, small children thought that he was a horse. 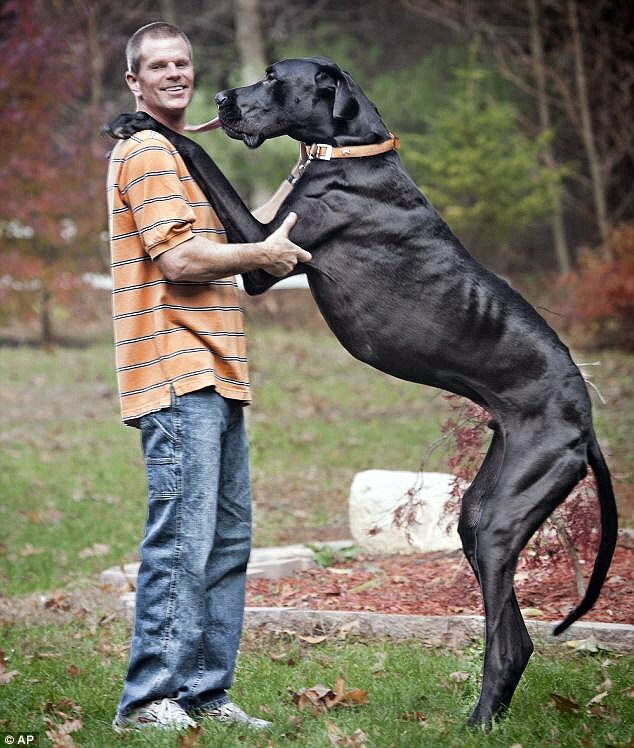 Zues weighed 155lb and chewed through 30lb of dog food every day. 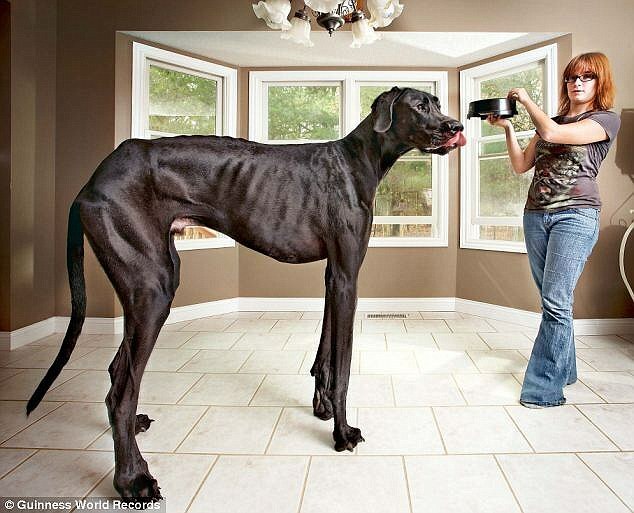 Kevin Doorlag says Zeus will be remembered as a 'wonderful dog' who loved to fit his giant frame on their laps when they sat outside on the deck at their Otsego home. 'We'll really miss him,' he told M Live. Zeus wasn't beloved only by his family. As a therapy dog, he visited schools and hospitals throughout the Kalamazoo area. Doorlag says he'll miss the looks of joy on people's faces when they saw Zeus. 'Those are some of the things I'll never forget about him. He was definitely a great dog,' he told M Live.